“Understand how to cope with disappointment and failure. The timeless, if uncomfortable truth, is that true strength of character is almost always forged by encountering and overcoming failure.” (Nathan O. Hatch – Commencement Address at Wake Forest University, 2013) President Hatch explained in his address that this statement characterizes a personality trait known as “grit.” In today’s challenging real estate market of low inventory, multiple offers, short sales that don’t get approved, this character trait is not only necessary is the real estate agent but it is also required of the clients as well! It is your challenge to set the proper expectations of your Buyers so that when this fun and exciting process of finding a new home turns into a chore replete with frustration & disappointment. I guarantee that if you persist and master the challenges of today’s market, your clients will be appreciative, send you referrals and you will be a better agent for it! “If you want to play a game, go to where it’s played and find a way to get in. Things happen when you get in the game!” (Chris Matthews – Commencement Address at Fordham University, 2006) If your career is focused on working with Buyers, go find them! Buyers come from a myriad of sources: sign calls, the internet, “First Time Homebuyer” seminars, relocation companies, apartment complexes, new marriages, new divorces, past clients, etc. Are you advertising properties online? Maximum One has a complete program outlined on the Extranet how to advertise HUD properties on Craigslist! Adopt this same process and advertise new construction (with the Sellers’ permission of course!) Are you willing to work sign-calls? Connect with a prolific listing agent who focuses on listings & work out a referral business! Sign-up for Agent-on-Duty! Host a seminar for Buyers… “Tips and Tricks on Buying a Short Sale!” “First Time Home Buying Seminar” “Your Mortgage Could be Cheaper than Your Rent” “First Time Real Estate Investor Workshop” “Foreclosure Bus Tour” Take out a booth at a Wedding Trade Show! Call your Past Clients & Sphere of Influence! Connect with a Divorce Attorney! Contact a corporate Relocation Company! Do you have a lead-generating & lead-capture website? Get one through Reflect Resources or eWebEngine! Work with “renters” because you never know if they can actually BUY and just don’t know about it! Find a way to be where the Buyers are! If you prefer listings… prospect Expired & Withdrawn Listings! Contact your past clients & sphere of influence! Market to Short Sales! Do BPO’s for banks & get into the REO business! Practice & perfect your listing presentation! Conduct a seminar: “How to Sell if you Owe More than Your Home is Worth!” or “5 Steps to Selling Your Home in this Distressed Market” Answer your phone from a sign call… they may have a house to sell as well!” Remember those “rental” leads that you don’t want to work….. perhaps they are losing their house and don’t realize that they could actually sell it as a short sale rather than letting it go into foreclosure! Think like a real estate consumer and be where are they looking… EVERY DAY! “Abundance is here for the taking. Don’t bemoan your lost frontier. It is even now flashing on our horizon. A gorgeous land lies before you fair and more beautiful than man before has ever known!” (William Allen White – Commencement Address Northwestern University, 1936) There is more than enough real estate business to go around… and there always will be! People will always need a roof over their head and a place to call home and YOU are the one they need to help them find that! There is no other profession besides real estate where you can make as much money and have as much influence helping others as the opportunities provided to you by your chosen career. Graduate each evening and commence your new adventure each morning embracing your education received & experience yet to occur! 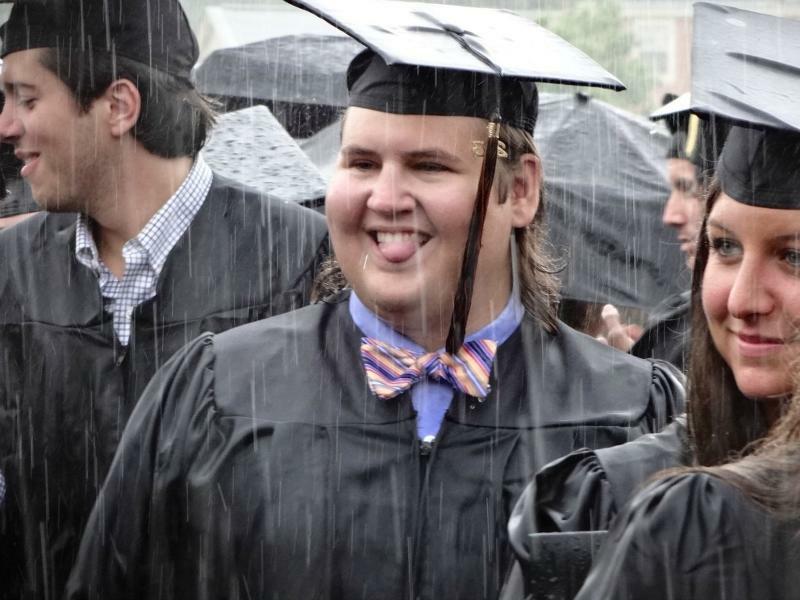 Congratulations to all graduates this season … including my son, Austin Sparks (pictured in this week’s motivational quote) who graduated from Dominion Christian High School and my nephew Jonathan Lerner (pictured above) who graduated from Wake Forest University!!! Memorial Day is the day to honor and remember our nation’s fallen military men and women. 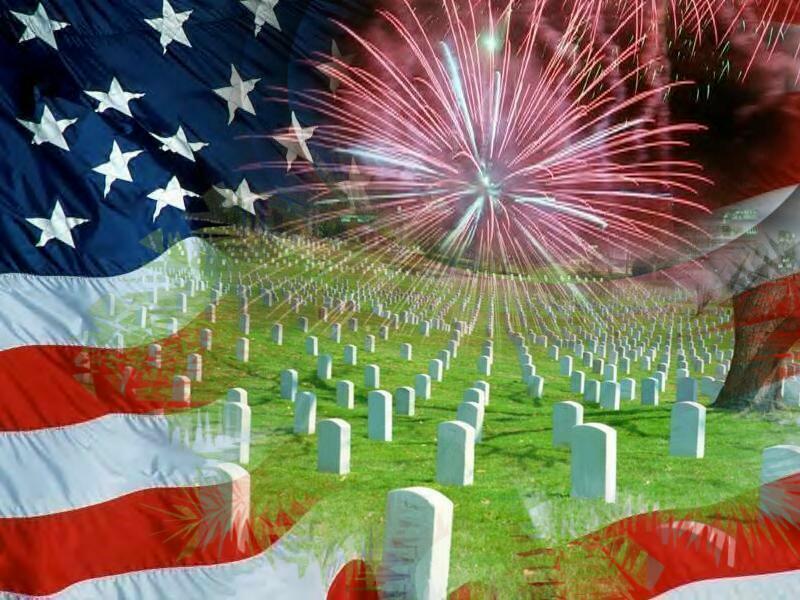 While we all enjoy a day off from work, the beginning of Summer, a picnic at the park or a relaxing time to get together with family and friends, remember that we enjoy these freedoms thanks to our armed forces who protect us, our borders and these ideas. When we think of the brave men and women who make up our military, we think of commitment, loyalty sacrifice, discipline, leadership and respect… all qualities which embody the excellence of a real estate professional! Commitment: In today’s real estate market, it definitely takes commitment and perseverance to be successful in your chosen career. Real estate markets are cyclical; if you commit to learning your craft and sticking to it in this challenging market, you are almost certainly guaranteed success in the easier market that awaits us! Loyalty: Your challenge is to keep today’s Buyers loyal to you as their agent when they don’t understand our market. We know that there is not as much inventory available for sale, but knowing this fact and convincing a Buyer of this are two separate issues. The public still hears in the media that we are in a “down market” or a “Buyer’s market.” They think that they can offer 60 cents on the dollar and purchase the house of their choice in a multiple offer situation. They also have a tendency to believe that you, their agent, simply does not want to take them out so see houses each weekend when you tell them there are no new “actives” but the see a TON of homes available online through Zillow, Trulia, etc! The key is to set the proper expectations with your clients and give them the information about the market so that they stay loyal to you when they begin to get a bit frustrated with their home search. Sacrifice and Discipline: There always has been and always will be a need for housing in our society; people will always need a roof over their heads. Your challenge is to find those people in need and find them solutions. To meet this challenge, you will have to sacrifice the easy more enjoyable parts of your job and be disciplined to do the “work” part of your job EVERY DAY in order to consistently generate new business. “Prospecting” is NOT a dirty word! You must act daily at finding new business on a regular basis… because it is out there! Are you disciplined enough to make phone calls, place Craigslist ads, knock on doors, respond to your internet inquiries, farm a neighborhood, make home tour videos for 1 to 3 hours every day? Each workday, you start at zero and must solicit new business… like a soldier, this takes sacrifice and discipline but the result is rewarding! Leadership & Respect: These military qualities are the true qualities that the public seeks from their agent. Let’s face it, technically, all agents can do the same job (search the listing services, show property, list property, write and negotiate contracts.) The reason that a Buyer or Seller chooses one agent over another agent comes down to the amount of leadership and confidence the agent exudes. When the customer respects you for your ability to take care of them regarding the largest investment of their lives and trusts you to lead them towards the end result they desire, YOU will turn them into YOUR client! Do what you need to do to gain confidence in your own abilities and then express that confidence in your communication to the public and you will see your business drastically improve! Memorial Day 2013 – a time to reflect on our American heroes; a time to be thankful for others; a time to apply the qualities of our soldiers to ourselves as real estate professionals. So enjoy your friends and family, enjoy the beautiful weather, enjoying firing up the grill, enjoy wearing your white shoes, enjoy the patriotic parades and embody these admirable attributes to yourself when serving the needs of your clients. 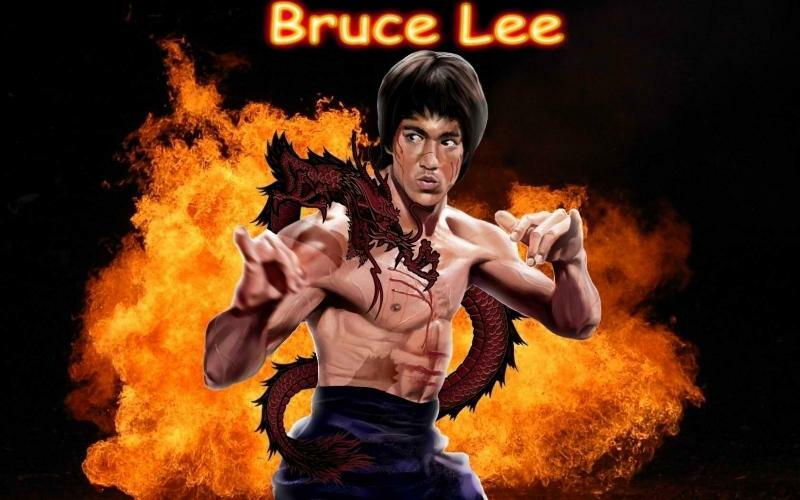 Bruce Lee is renowned as the greatest icon of martial arts films and a key figure in pop culture in general. He leaves a legacy in martial arts, films, television, Asian culture, philosophy, nutrition and bodybuilding. Bruce Lee’s life and career were energized by his thoughts and personal philosophy. His inspiration propelled himself and others to phenomenal success with seeming ease. The following excerpts from “Striking Thoughts – Bruce Lee’s Wisdom for Daily Living” will create a brighter future for you personally and professionally. 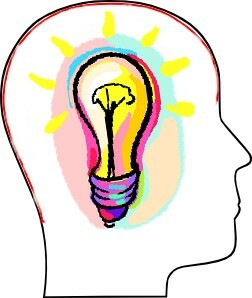 The value of ideas – Ideas are the beginning of all achievement, in every industry, in every profession. Knowledge vs. Character – Knowledge will give you power but character respect. Success – Success means doing something sincerely and whole-heartedly. And you have to have the help of other people to achieve it. On being success-conscious – Success comes to those who become success-conscious. If you don’t aim at an object, how the heck on earth do you think you can get it? The three keys to success – Persistence, persistence, persistence. The Power can be created and maintained through daily practice – continuous effort. Don’t choose to waste energy – Never waste energy on worries or negative thoughts. All problems are brought into existence – drop them. Intense desire creates its own talents and opportunities – We are told that talent creates its own opportunities. But it sometimes seems that intense desire creates not only its own opportunities, but its own talents. Dreams are future realities – Yesterday’s dreams are often tomorrow’s realities. Money is an indirect matter – The direct matter is your ability or what you are going to do that counts. If that comes, the indirect things will follow. Strive to be better – One must always strive to be better. The sky’s the limit. On the light within – No matter what, you must let your inner light guide you out of the darkness. Growth requires involvement – To grow, to discover, we need involvement which is something I experience everyday, sometimes good, sometimes bad. Frustration is a means of growth – People have to grow by skillful frustrations, otherwise they have no incentive to develop their own means and ways of coping with the world. Feel – Don’t think, feel! It’s like a finger pointing a way to the moon. Don’t concentrate on the finger or you will miss all that heavenly glory! Be water – Empty your mind, be formless. Shapeless, like water. If you put water into a cup, it becomes the cup. You put water into a bottle and it becomes the bottle. You put it in a teapot, it becomes the teapot. Now, water can flow or it can crash. Be water, my friend! If you would like to expand your business, consider coaching! 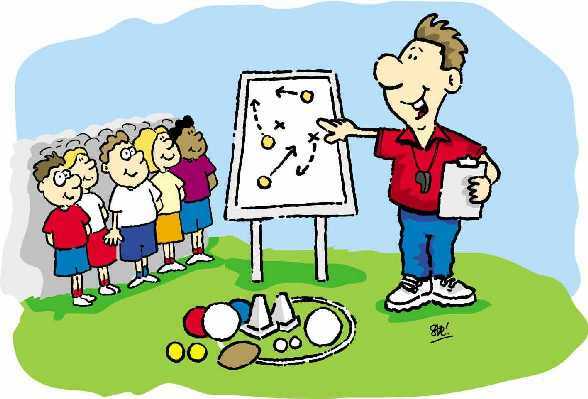 Just like every professional athlete, you too can excel in your chosen profession with some coaching and accountability. Below are several professional real estate coaching services; you may investigate these or attend one of the Maximum One Masterminds, begin a Mastermind, find a mentor or simply begin with an accountability partner. Regardless of your choice, you have many options available to move you from point “A” to point “B” respective to your Real Estate Business! Maximum One is not advocating one Coaching Company over another, this article is designed to be informative. There are many ways to approach growing your business; no one way is more effective than any other. The best method is any one that you will choose and follow! You are not alone in your real estate career! Along with your specific branch, you have the agents and staff of the entire Maximum One corporation urging you to greater and greater success in your business! We provide many opportunities for you to get involved with your peers and professional affiliates (classes, workshops, Masterminds, Team Meetings, etc.) and it is up to YOU to take advantage of what we have to offer you as an agent. Consider adding another branch to your support system through professional coaching! Check out these coaching systems above. While there are more real estate coaching programs around, these are the ones with which I am most familiar and know produce successful results for all levels of real estate sales professionals! If you can read this, you can make more money in your real estate career! Pretty cool, huh? There are a variety of ways to use the lesson from this fun illustration to make more money in your real estate career! One of the primary insights to be gleaned is that you do not have to wait until you feel you “know it all” before you allow yourself to jump in this market and help sellers and buyers! Real estate follows a market cycle and will always be changing in and of itself; add the prevailing economy and know there are more changes ahead! So, just when you DO have everything “perfect” and “know it all,” the playing field will have changed! People need your professional real estate services now and with the assistance of your own research, your ongoing training, your office, your broker and your real estate coach, you will be able to make sense of what is presented (just like your mind makes sense of the jumbled words above) to sell property and make money! Let the way the brain naturally works enhance your mindset, your real estate skills and ultimately procure signed agreements with your prospects! Your mind automatically fills in the blanks to make sense of the information you provide; sort of like the games, hangman and Wheel of Fortune! Mindset- The Inner Game of Real Estate: When you focus on your positive mindset in business, you create thoughts, ideas, emotions and images designed to lead you to the actions necessary to achieve the results you seek. Whether you use meditation, visualization, mental rehearsal, or affirmations you are forcing your mind to expand upon the ideas you present. I bring value that other do not have! I am professional and have the ability clients need in this real estate market! Buyers and Sellers want my services! Clients get what they want when they hire me! I am excited to bring valuable information to help someone sell or buy! For example, “If I could show you how to use your house as a tool in order to take advantage of this market on the buying side, would you be open to that?” The seller will go into his own mind, make sense of what you said in terms of being able to move and yes, would be open to that! How about, “Aren’t you concerned by how much money you are leaving on the table by waiting?” This question has power with a seller or buyer! You professionally persuade them to sign an agreement (which is in their best interest) to make the most of the real estate market today! * The paragraph is from an e-mail I received from a friend. You probably received it too! Original source is unknown.